An exciting Seoul event for you food enthusiasts! Do you have a passion for cooking fusion Korean food? Would you like an opportunity to show off your skills? This Seoul event is perfect for you! 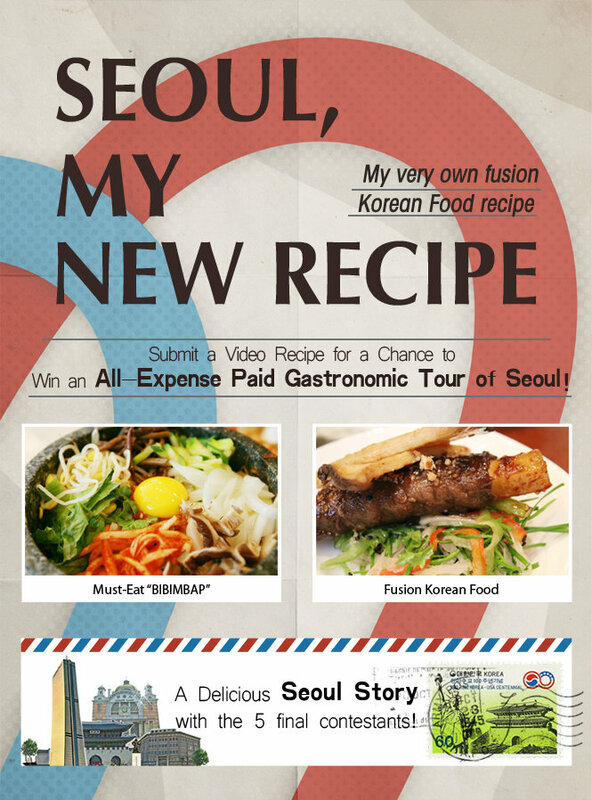 Participate in this culinary challenge for a chance to win a tour of Seoul! Just send in a video recipe of your fusion Korean dish by September 25. A total of 10 participants will be selected for an all-expense-paid tour of Seoul. Create something delicious!